We will be closed during the Fruita Fall Festival, from Friday September 23 through the 25th. We will be open our normal business hours on Monday, September 26. If you have an emergency, call and leave a message and we’ll get back to you ASAP. The Alpine Bank Fruita Fall Festival is a 3-day event with over 125 vendors selling their arts, crafts, and foods to a crowd of 50,000-plus. The weekend is filled with events including The Enstrom Candies Fruita’s Got Talent Show, Grand Valley Bank Parade, Western Rockies Federal Credit Union Outhouse Race, The Museum of Western Colorado Old Fossil Golf Tournament, Fruita True Value Cooking Contest, Family Health West Friday Night Street Dance, Moody Insurance Saturday Night Street Dance and more! 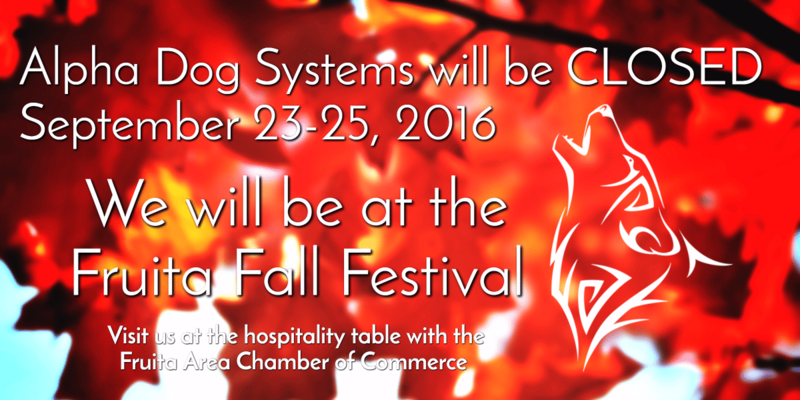 Planned by the Fruita Area Chamber of Commerce as its major fundraiser, the Fall Festival is a free community event. The Alpine Bank Fruita Fall Festival is once again pleased to present a free weekend of live music on two stages. The Bank of the West Circle Park Stage will feature number one hit recording artists The Georgia Satellites presented by Family Health West and country music legend Darryl Worley brought to you courtesy of Moody Insurance, as well as regional and national bluegrass bands. The FCI Constructors Civic Center Pavilion Stage will feature comedian Sam Adams presented by Coloramo Federal Credit Union and an eclectic mix of musical styles featuring high profile local acts.